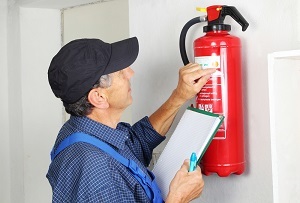 Commercial Insurance Coverage and Fire Risks | The Voss Law Firm, P.C. The risk of fire is obviously something the insurance company is going to look at before giving you any hard numbers on the cost to protect your commercial property. However, you can’t forget about fire prevention once you have a policy in place. Commercial properties and the policies that protect them evolve over time, and your ongoing costs and coverage may be strongly linked to your management of fire risks. Attorney Bill Voss has helped policyholders in all kinds of industries with difficult property insurance claims, and he has seen too many policyholders surprised by the response from their insurers after a major fire. As a business owner, it is up to you to take steps to protect your property from fire, and that means looking at your current needs for prevention and insurance coverage. To help you mitigate the potential costs of a future fire disaster, here are some things to think about. New additions. If your businesses has added new structures, expanded, or significantly remodeled, it will affect your insurance costs. If the insurance company is unaware, you can’t expect your old coverage to apply new structures or structures that have changed significantly. Fire prevention should be a factor when you choose construction materials for additions or repairs, and the insurance company should be notified promptly of the changes. Fire prevention systems. Technology changes over time—sometimes faster than businesses can keep up with. Fire prevention systems that aren’t up to current standards are a concern, especially for older buildings on long-standing properties. Installing automatic sprinkler systems and appropriate fire extinguishers can go a long way toward containing a major fire, and insurers do take these factors into account. Keep in mind that it is also your responsibility to regularly inspect these systems and maintain them in working order. Location and use. The way you use a property can also affect the costs of fire coverage, as well as what may be covered if a fire does break out. For example, if the use of a property changes over time to now include heat treatment of chemicals or storage of flammable materials, it’s going to have an impact on your insurance coverage. In Texas, the cost to insure a property can also depend on the city where it’s located, so moves or expansions can come with increased costs, different exclusions, and different building codes. Fire prevention and loss mitigation are an ongoing job, whether a property is new or old. To avoid problems with your insurance coverage and keep costs in check, you should regularly review changes to your property and its use, as well as how your fire prevention measures up. Learn more about preventing structure fires on commercial properties. Prevention and planning can help you avoid large losses in a fire, but you should also be aware of your rights as a policyholder when you do need to submit a claim. Even when you pay for appropriate insurance coverage for a business property, you can’t always count on fair treatment from the insurance company, especially in complicated large-loss situations. Getting fair payment from the insurance company can be challenging, even when you plan ahead, search out “right fit” coverage, and meet your responsibilities as a policyholder. If you believe your insurance company has denied a fire insurance claim in bad faith, don’t give up on getting a fair outcome. For more information, or for immediate help with your insurance claim questions, call the Voss Law Firm today. You can also get answers by reading through our complimentary book, Commercial Insurance Claims: The Basics.